We don't name our clients, but we do talk about great results. Below are some of our success stories. PROBLEM: Founder/CEO wanted to grow smart, but they were not big enough to hire a FTE analyst. APPROACH: Directade was an outsourced MP&A department. Over 2.5 years we performed a range of analysis – LTV, Product Mix, Churn, Billing. RESULT: Directade provided data for investor communication and found DTC customers were worth 9x more than a retail customer. Armed with data-based decision making, the brand was able to optimize, grow, and complete a successful exit. PROBLEM: Client didn’t have brand awareness or a digital footprint, but were contacting potential customers with a direct mail offer which required commitment and trust. APPROACH: Improved DM campaign – creative, CRM system, LTV, set up reporting, Google SEO, SEM. We built a digital presence for the brand. RESULT: Established brand as a leader in their space - Organic Google results on main keyword term moved from Page 19 to Page 1. Google drove 75% of traffic to website (Paid 20%, Organic 55%). PROBLEM: A multi-platform subscription streaming app was experiencing high Customer Churn. APPROACH: Audit data, perform analysis, and design new reports to fill-in gaps and diagnose churn issue. . RESULT: Audit data, perform analysis, and design new reports to fill-in gaps and diagnose churn issue. 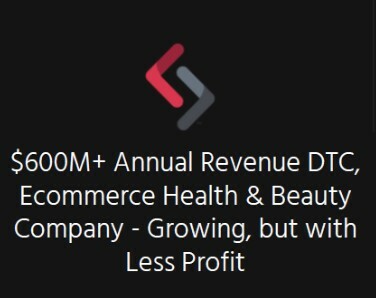 Directade Answered the Question "Why am I Seeing Less Profitability when my Sales are Increasing?" PROBLEM: Brand experienced explosive growth over past 2 years. Finance was seeing weakness in the P&L and marketing team wasn’t clear on causes due to reporting gaps. APPROACH: Performed data hygiene and delivered a collection of 15 analyses centered on customer cohorts to identify all contributing factors. 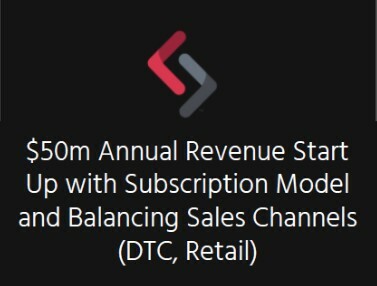 RESULT: Set CPO Allowables, found contra revenue was 2X previous estimates, evaluated LTV of 1-shot vs subscription customers, and delivered a comprehensive 3 month Action Plan.